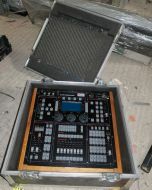 Etc congo jr master lighting controller with 2x20 fader side wing panel also. Etc congo jr mast... wing panel also. 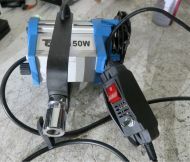 Sachtler 50H reporter light with mains power supply. Sachtler 50H repo...ins power supply.